As its title suggests, Hillary Clinton’s soon-to-be-released book ‘What Happened’ delves into many factors that led to her surprising defeat in the 2016 election. 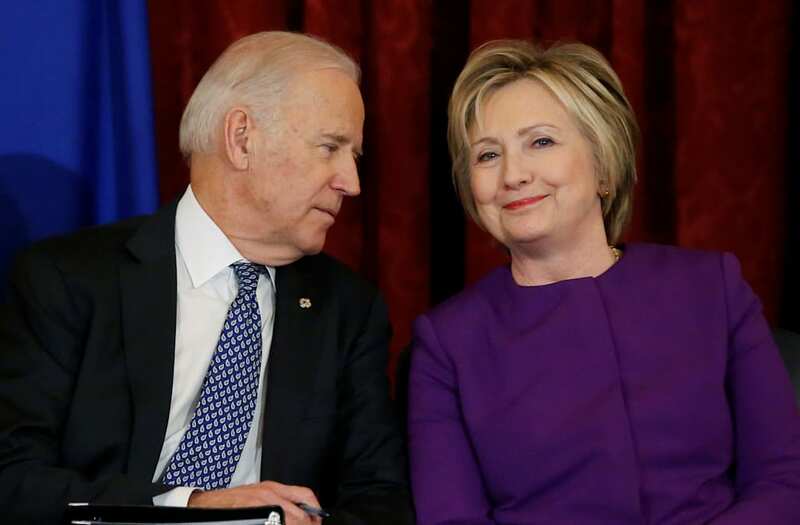 Based on passages published by CNN, Clinton also devotes some space to challenging analyses offered by others, and former Vice President Joe Biden is among them. Biden made the comments in March during a discussion with Amy Gutmann, the president of the University of Pennsylvania. “You didn’t hear a single solitary sentence in the last campaign about that guy working on the assembly line making 60,000 bucks a year and a wife making $32,000 as a hostess in a restaurant," he said. "They are making 90 grand and they’ve got two kids and they can’t make it and they’re scared. They’re frightened, because they’re not stupid." Besides Biden, Clinton ​​​​​​​also took aim at Bernie Sanders in her book. She writes, in part, that Sanders’ frequent mentions of her well-compensated corporate speeches, “caused lasting damage, making it harder to unify progressives in the general election and paving the way for Trump’s ‘Crooked Hillary’ campaign."